Start your Kerala beach package with the arrival at the Thiruvananthapuram Airport where one of our representative will receive you and transferred you to Kovalam which is 15 Km from the airport. Upon arrival settle down in the hotel and take some rest. Later on visit the major attractions of the city which include Hawah Beach, Samudra Beach, Lighthouse Beach, German Bakery etc. Return back to the hotel for dinner and overnight stay. On the second morning start your day with tempting breakfast and then proceed for the sightseeing tour of Kovalam which is one of the most sought- after tourist destination. Visit its major hot spots which include Artificial offshore coral reef, Vizhinjam Village where people can undergo various ayurvedic treatments to rejuvenate themselves, Thiruvallam Parasurama Temple, boating in the gorgeous Aruvikkara Dam, visit to Kovalam Art Gallery and an exciting trip to freshwater Vellayani Lake etc. Return back to the hotel for dinner and overnight stay. After breakfast check out from the hotel and proceed towards Varkala which is 58 Km from the Kovalam and takes around 1½ hr to reach it. Upon arrival check into the pre-booked hotel and take some rest. Later on enjoy a visit to the amazing attraction of Varkala which include Varkala Beach and Cliff, 2000- year old Janardhana Swami Temple, Sivagiri Mutt, the popular and serene Kappil Lake, the highlight of Varkala and its popular tourist attraction the Varkala Tunnel etc. Return back to the hotel for dinner and overnight stay. On the last day of your top beaches in Kerala check out from the hotel and proceed towards Thiruvananthapuram which is 43 Km from Varkala. Indulge in some sightseeing which includes Padmanabhaswamy Temple, Kerala Science and Technology Museum, Napier Museum, Poovar Island etc. Then proceed towards Thiruvananthapuram Airport to board a flight for the return journey. 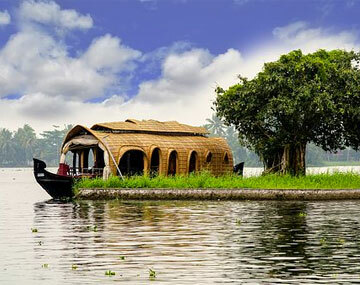 Kerala is one of the most beautiful states of India which is flanked by the Arabian Sea on the west, towering Western Ghats on the East and an amazing network of 44 interconnected rivers. Its long shoreline, serene beaches fringed with palm and coconut trees, tranquil stretches of emerald backwaters, rich cultural heritage and exotic wildlife make it one of the most beautiful destinations to visit and enjoy a great vacation with family and friends. BookOtrip offers you world-class travel solutions on your fingertips. No matter where you want to go we are here you help you out with best possible travel solutions in terms of best deal flight bookings, car rentals, hotel accommodations and travel insurance so that you can enjoy your dream vacations with your loved ones. So hurry avail our best deal Kerala beach tour package and enjoy one of the most memorable holiday trips of your life to the most magnificent destination in the world. Tickets and vouchers will reach to clients two days prior to the date of departure / travel.